We’ve rounded up an impressive assortment of accessories that will blend right in with the aluminum-and-black motif of an Apple-centric home or office. If you're enough of a fan of Apple’s designs that you insist that your accessories not spoil the aesthetic, take note: We’ve rounded up some of our favorite gear that will blend right in with the aluminum-and-black motif of an Apple-equipped home or office. And if you’re doing some last-minute holiday shopping for a Mac-using friend or family member, you can't go wrong with these items—they're sure to look at home next to any Mac. The stand on Apple’s latest iMacs and displays isn’t always tall enough. 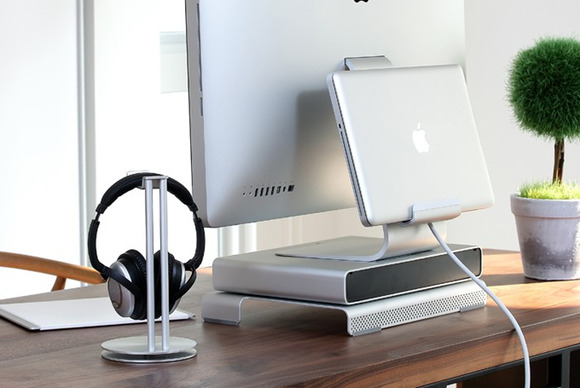 Twelve South’s $80 HiRise for iMac raises your iMac or Apple display while also providing some hidden storage for hard drives, accessories, or even a Mac mini. 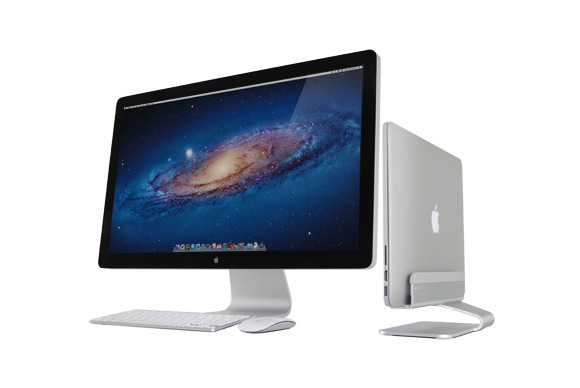 Looking much like a Mac Pro laid on its side, the sturdy, metal HiRise provides an adjustable interior shelf for the base of your iMac, Cinema Display, or Thunderbolt Display. 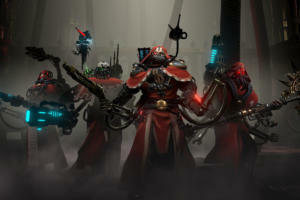 (One of the shelf slots is designed specifically for a 27-inch iMac to line up perfectly with a Thunderbolt Display.) The front and back ventilated panels attach either with screws or magnets, the latter making it easy to access your gear. 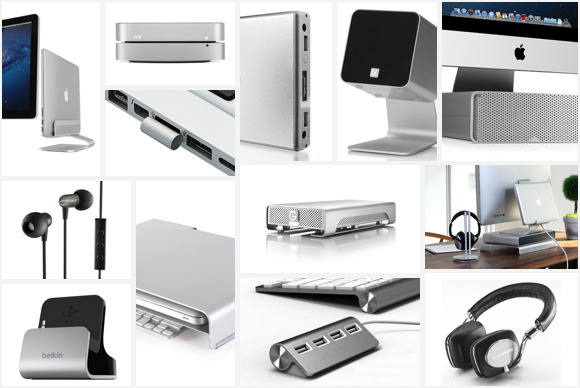 Looking for a place to stash your MacBook while using an external display? Or to hide your backup drive? Just Mobile’s $60 AluRack (right) mounts securely to the leg of an iMac, Thunderbolt Display, or Cinema Display and holds either a closed MacBook or a hard drive. The AluRack is made of aluminum with an antiscratch coating on the cradle. The $50 HeadStand (left), on the other hand, is designed to show off your gear—specifically, to keep your stylish headphones on display and within easy reach. The aluminum headphone stand holds one large set of headphones or two smaller sets, and you can even wrap your headphone cable in the large groove in the stand’s base. Like the AluRack, Rain Design’s $50 mTower holds your MacBook securely while you're using an external display. But instead of hiding your laptop, the mTower proudly keeps it in plain view. Made from a single piece of solid aluminum, the mTower conserves desk space while helping to keep your closed MacBook cool thanks to dedicated ventilation slots and an upright position that improves airflow over the bottom of your laptop. A second slot on the bottom offers a place to stash your keyboard, and a powered, four-port USB 2.0 hub makes it easy to connect your desktop peripherals to your MacBook with a single cable. 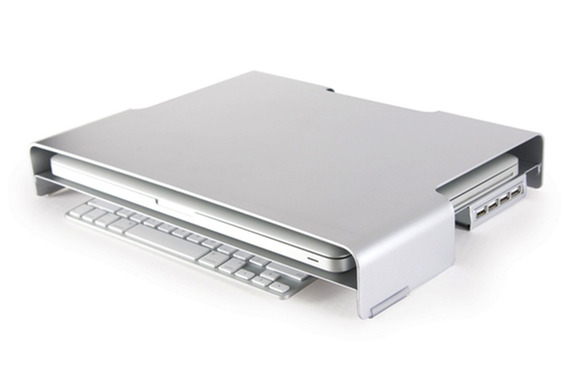 The solid-steel LapTuk Pro is 16.1 inches wide and 11 inches deep, and it holds up to 35 pounds. 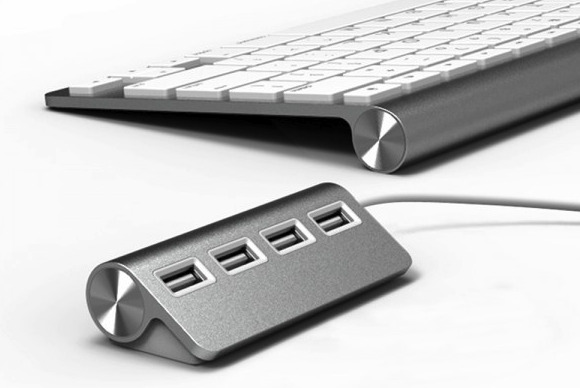 Satechi’s $28 ST-UHA Satechi Premium 4 Port Aluminum USB Hub is a USB 2.0 hub designed to perfectly match the rear of Apple's Magic Trackpad and Wireless Keyboard—and apart from a slightly steeper angle on the face, matches it does, right down to the shiny endcaps. 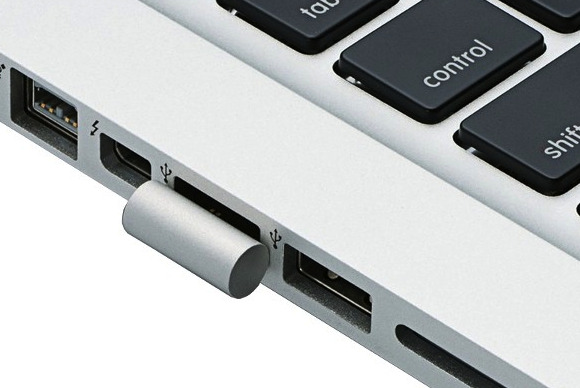 The aluminum hub connects to your Mac by way of a conveniently short cable, and the ST-UHA is compact enough to toss in your laptop bag. 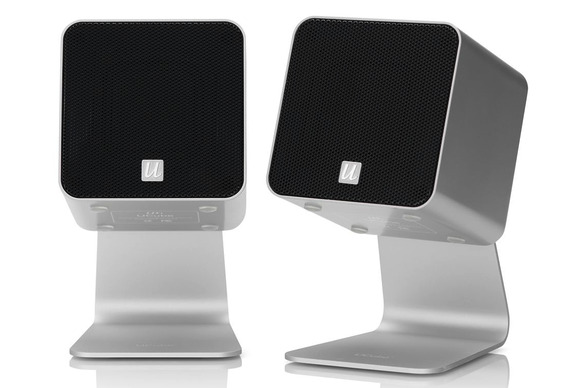 As a result of their smaller size and the limited power provided by USB ports, USB speakers generally don’t sound as good as AC-powered computer speakers, but the UCube is one of the better USB-powered systems out there—and the speakers look great underneath your iMac or Apple display, or bookending your MacBook. Everyone needs an external hard drive (you do back up to an external drive, right? 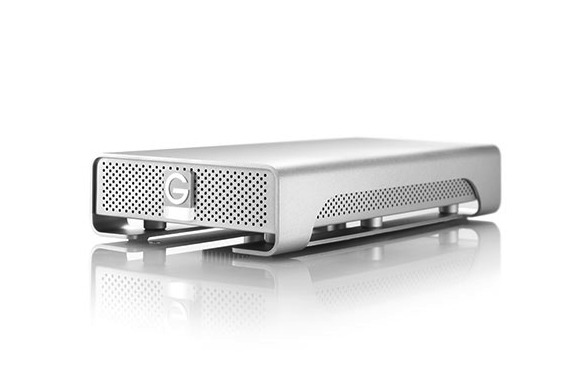 ), but few drives look as good connected to a Mac as G-Technology’s G-Drive line. The desktop G-Drive (shown here; $230 to $350) sports USB 2.0, USB 3.0, and FireWire 800 interfaces. 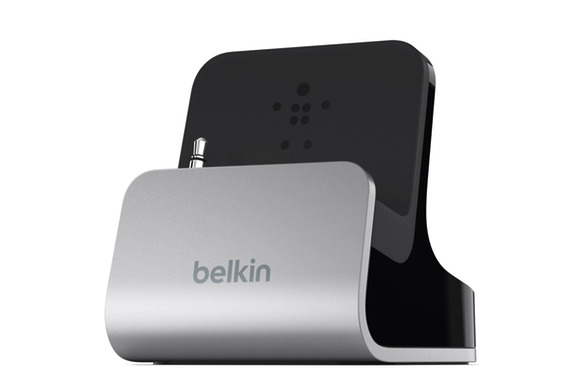 The portable, bus-powered G-Drive mini ($150 to $200) features FireWire and either USB 3.0 or USB 2.0. Both models use 7200-rpm drives, include USB and FireWire cables, and come in an aluminum enclosure that doubles as a heat sink to keep the fanless drives cool. The G-RAID with Thunderbolt ($600 to $800) offers high-end performance by combining two 7200-rpm desktop drives in a single, Thunderbolt-equipped, RAID 0 enclosure. 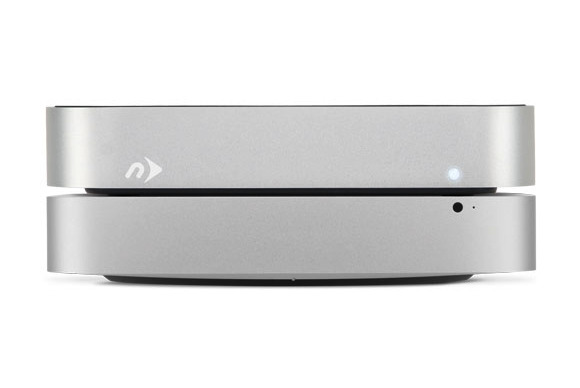 If you're looking for a hard drive for a 2010-or-later Mac mini, NewerTech's aluminum miniStack ($79 to $1130, depending on storage options) is a perfect mate. Thanks to identical footprints, the miniStack and the Mac mini stack perfectly, with the two connecting via FireWire 800/400, USB 3.0/2.0, or eSATA. (FireWire and USB cables are included.) You can even pile multiple miniStacks on top of one another and daisy-chain them together using FireWire. NewerTech sells the miniStack empty for DIY-ers, or you can order it with a traditional hard drive (500GB to 4TB) or a speedy solid-state drive (SSD, 120GB to 960GB). 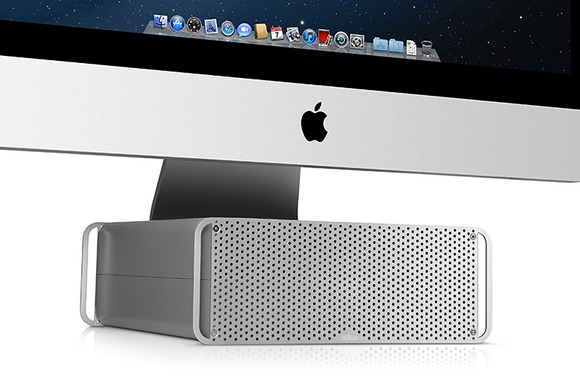 The company also sells the miniStack Classic for pre-2010 Mac mini models. A pass-through headphone plug lets you listen to headphones (or powered speakers) while your phone is docked, and you can easily remove your Lightning cable when you need to take it with you. The dock is made of plastic, but it still matches Apple’s aluminum products well. 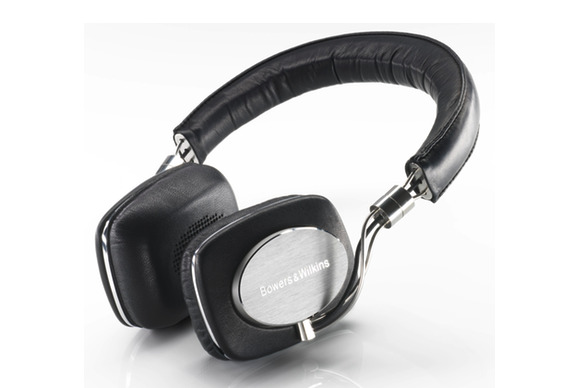 The P5 offers full-size-headphone sound quality and comfort, outstanding passive noise isolation, and superb construction. We love the swappable, no-strain cables and the magnetically attached, replaceable earpads; the Apple-style, three-button inline remote/microphone works with both your Mac and your iOS devices. 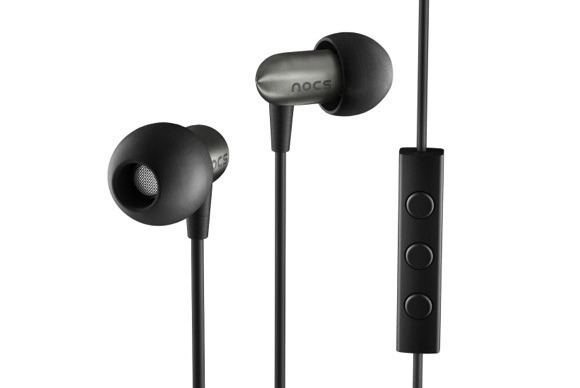 If you favor in-ear headphones over full-size models, Swedish company Nocs creates audio accessories with a modern, clean design that just so happens to mirror Apple’s aesthetic. The company’s $200, top-of-the-line NS800 canalphone headset features high-quality, balanced-armature drivers housed in surprisingly tiny stainless-steel earpieces. The result is a pair of in-ear headphones that look great and sound great, with crisp, clear highs; natural midrange; and solid, tight bass performance. 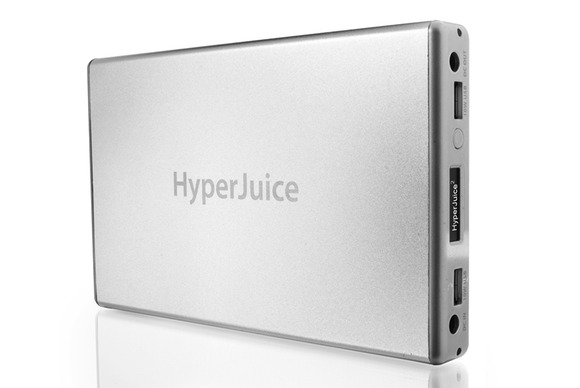 Sanho claims the HyperJuice 2 can power a 13-inch MacBook Pro for up to 18 hours, an iPad 2 for 50 hours, or a third- or fourth-generation iPad for 34 hours. A screen on the end of the battery shows the remaining battery percentage and time, as well as the battery’s temperature. 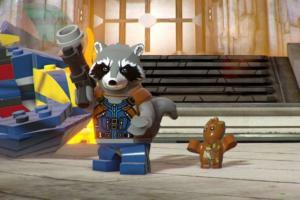 The battery uses a modular design, so you can upgrade the battery cells down the road.